Singer and host Rita Ora was left red-faced as her TV talent show prank backfired spectacularly over the weekend. Ora, who hosted this year’s MTV EMAs in London, went on Germany’s version of popular singing contest The Voice. It was a well thought out and TV-worthy prank, the only trouble was the judges on had no idea who she was… Awkward. Now to be fair to the judges, Rita Ora, in terms of hits, is almost a non entity – I mean can you name one song of hers without having to resorting to Google? This is not a criticism of her, she’s clearly a celebrity who’s still in demand and there’s obviously something about her if MTV are asking her to host award shows and her music videos – while instantly forgettable – keep popping up when I’m in the gym. To phrase it better Rita Ora is just there, but we’re not quite sure why. Or as one of our sub-editors so elegantly put it: ‘She’s like a fart in a lift. No one knows how it got there, but you’ve just got to deal with it’. Which is probably what the German Judges on The Voice – and perhaps Ora for that matter – felt when she popped on stage. If you don’t watch The Voice – or any other singing based-reality contests – congratulations you probably have good taste in music and morals – the premise is to sing for the judges who have their back turned to you and if you’re good enough the judges will turn around and give you approval and mentor-ship. If you win they’ll sign you to a record deal so bad you’ll think you’d signed a contract with the devil himself. After they’ve bled you dry they’ll throw you into the gutter like last week’s mouldy bread. Something Ora has experience with after her awful contract with Roc Nation – Jay-Z’s label. Anyway the west London native went on stage and sung Your Song as part of the blind auditions. Obviously she’s a good singer because all the judges turned around in approval of her vocal skills. So far so good. But here’s where things got a little bit awkward, I’m guessing the next part was meant go down with the judges in shock that it was actually Rita Ora doing the blind auditions and everyone would find it hilarious – sounds vanilla but also made for TV ‘madness’. Instead they stared at her like she was a wormhole who was sucking them into a never ending vortex of irrelevance. What makes this unscripted moment even more cringe-worthy, yet oh-so funny, is that Rita Ora has been a judge on the UK’s version of The Voice, they should at least recognise her from there, right? Turns out the answer is no. 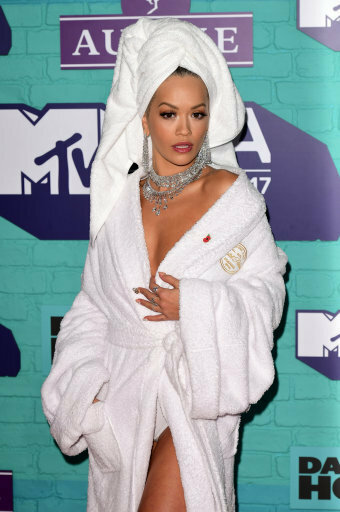 While they did recognise the song and artist who sang the original they couldn’t put a face to it, to which she broke the news to them she was actually Rita Ora… You know, the Rita Ora who’s in loads of things but is instantly forgettable. At least they liked her performance, so at least the glass is half-full in that perspective, and to her credit she took it like a champ.